The Charles River Watershed Association has been working diligently to improve the Charles River since 1965. Today they held their 28th Run of the Charles Canoe & Kayak Race. This event allows hundreds of paddlers and their families to see first hand the improvements in water quality that have been achieved. As I waited for my boat class to begin heading downriver from Riverdale Park in Dedham, 4 pieces of trash made me aware of their desire to make the trip as stowaways. 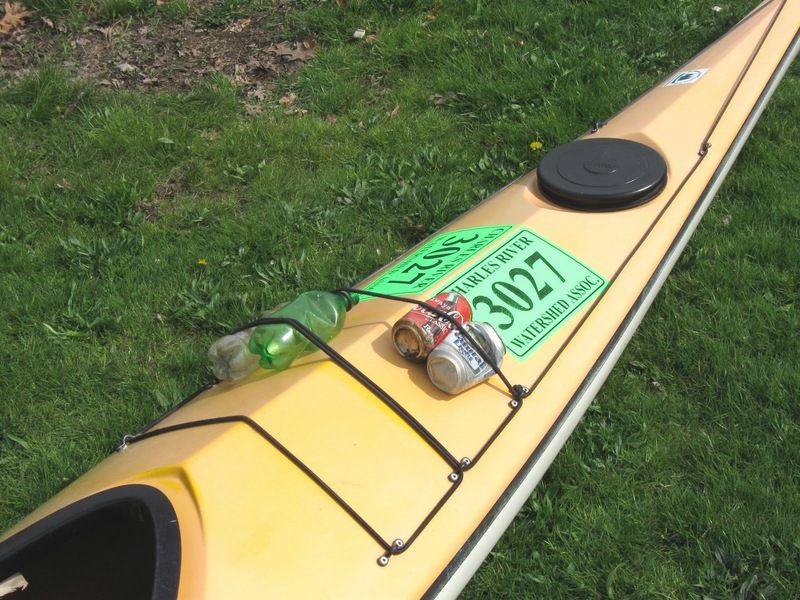 I explained that this wasn't going to be a mellow trash patrol but instead a 19-mile race with lots of portages and even a short stretch of rapids where things could get dicey. They were undeterred and promised to hang on tight. When all was said and done, and my boat had made landfall at DCR's Artesani Park in Brighton, they were still securely onboard. A good time was had by all! My YTD totals stands at 1811.